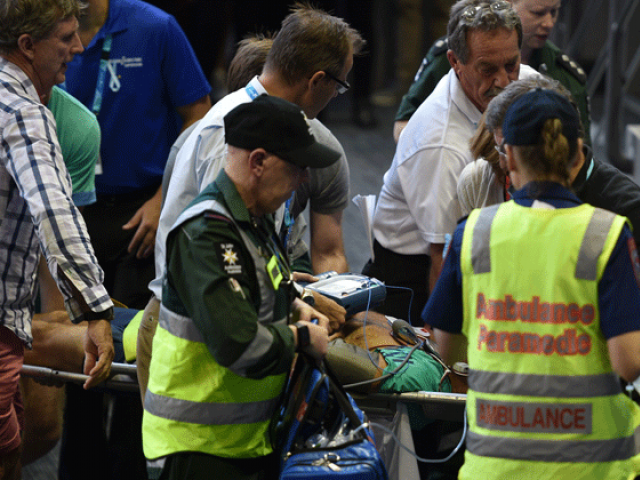 Ana Ivanovic’s third-round match at the Australian Open was suspended after coach Nigel Sears collapsed. Ivanovic was leading Madison Keys 6-4, 1-0 when 59-year-old Sears, Andy Murray’s father-in-law, fell to the ground in the coach’s box at Rod Laver Arena on Saturday. The match was immediately delayed as Ivanovic watched on in concern from her chair. Ivanovic and Keys were then ushered down the tunnel before officials decided to suspend proceedings, with world No. 2 Murray in action against Joao Sousa over at Margaret Court Arena. Sears was conscious and responsive after being taken to hospital. When proceedings resumed, Ivanovic struggled with consistency and failed to convert any of her six break-point opportunities in the ninth game, allowing Keys forced a deciding set. Ivanovic continued to have chances in the final set but after saving one match point, she was unable to fend off another as Keys triumphed 4-6, 6-4, 6-4 in two hours, 25 minutes. It is the second time this week Ivanovic’s match has been delayed by an incident in the crowd. The Serbian was left shaken when a spectator crashed down a set of stairs during her win over Anastasija Sevastova on Thursday.